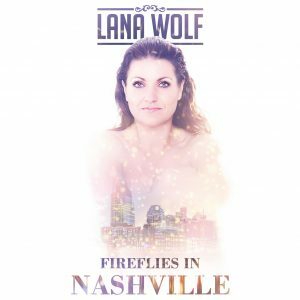 Blog Lana Wolf - "Fireflies in Nasheville"
My overall impression with “Fireflies in Nashville” is this is an album Lana is proud of and you can hear her celebratory attitude throughout all 12 songs. 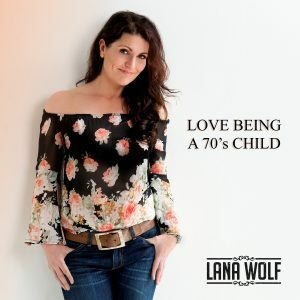 Anytime you combine Lana Wolf and Michael Lusk…you know it’s going to be good, and it was. Beautiful chorus in “Where Are You Now“. “No Place Like Home” is a power ballad putting Lana’s BIG vocals on exhibit for all to hear. As I listened to “Damn Dailies“…it occurred to me that Lana must have sang with a gospel choir because she puts her heart into every aspect of the melody and really belts out each and every note out as if it were the last time she would be singing. But at the same time, she transitions effortlessly into soft notes as only a truly gifted professional can do. I only mentioned three songs; but, the other nine are equally amazing in other ways and the only way to experience this amazing album is to purchase it and add it to your music library. The physical album is available now on Lana’s website and the single is available now on Spotify. The digital album will be on iTunes and Spotify on June 1st. “Fireflies in Nashville” is an excellent album and you will feel the joy in Lana’s delivery of each and every song and I wish her much success with it’s release!